Right now, South Africa's Springboks team remains in second place, nine points behind New Zealand's All Blacks in the Rugby Championships. 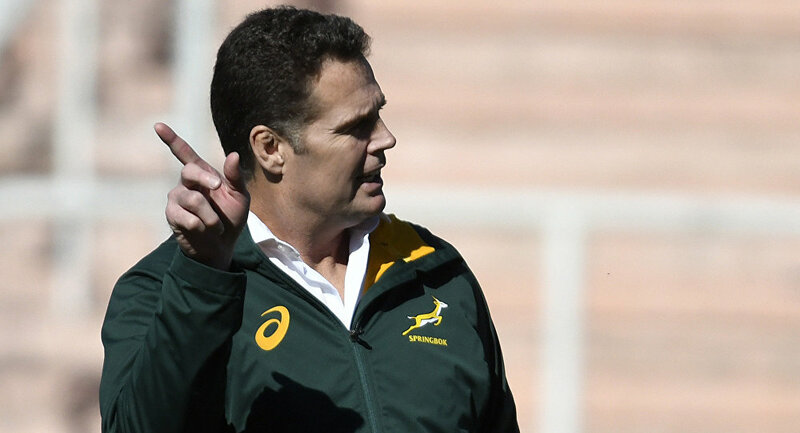 Rassie Erasmus, head coach of South Africa's Springboks rugby team, has urged the country's rugby bosses to support his long-term goal of building the team instead of focusing on short-term results or sack him, according to The Daily Mail. "If we can beat the All Blacks [of New Zealand] here then everybody will think we have a realistic chance of winning the World Cup next year, and if we do really well here people will say there's growth. But if we do really bad here, then I will probably not be in the seat for the next couple of matches and someone else will probably be here," Erasmus underscored. With six coaches guiding South Africa through the last four Rugby World Cup, Erasmus, who is contracted for six years, underscored his drive to create a team which could succeed in the next two World Cups. "The only thing a six-year contract tells me is not to think about next week. Think about the World Cup and the 2023 World Cup as well," Erasmus underscored. He was echoed by his assistant Matt Proudfoot, who said Erasmus clarified that "if we don't get the transformation right, if we don't get the squad right to be competitive at the World Cup it doesn't matter what we do." South Africa is currently coming on the heels of New Zealand in the Rugby Championship. The two teams are scheduled to face each other on Saturday.